For many of our clients, including Northwestern Medical Center, the VNA of Chittenden and Grand Isle Counties, and Middlebury Food Co-op, we create a brand style guide. These are the culmination of significant upfront work, including branding, logo development, campaign creation, web work, etc. 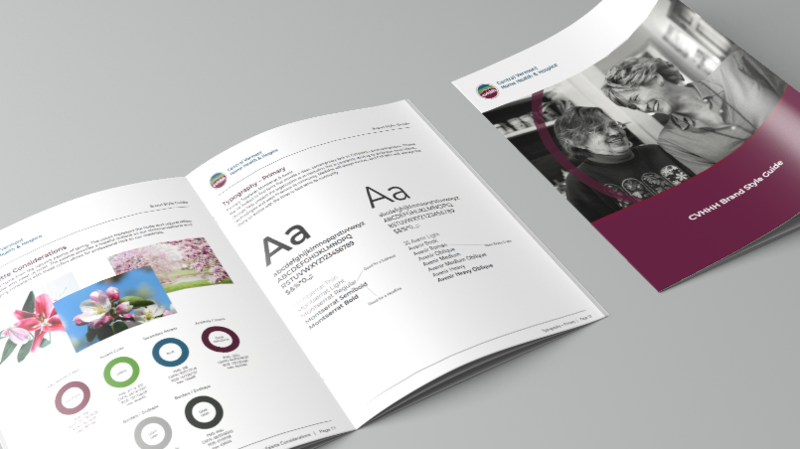 These brand style guides allow our clients to take verbal and visual identity in work we have created and to bring it across the full spectrum of internal client communications. These guides go further by outlining and articulating the strategic rationale that drove our decision making processes. They help create institutional memory and campaign resiliency over time. Are you interested in creating greater synchronization of your marketing efforts? We’d love to show you some of our work, and the brand style guides that are the culmination of these efforts.